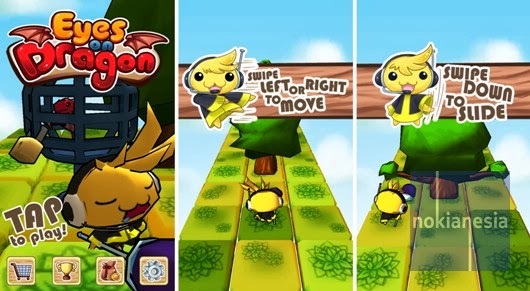 "Eyes on Dragon" for Nokia Lumia with Windows Phone 8 is a new never ending run game made by Own Games Indonesia , a local game developer from Indonesia. The goal of this game is we must help "Tako" - a dragon guardian to chase the escaping dragon. The dragon has escaped from his cage when Tako sleep while guarding the dragon. Hurry up to chase the dragon, the dragon is start to burns everything ahead, but be careful with some trees, and the angry bull. 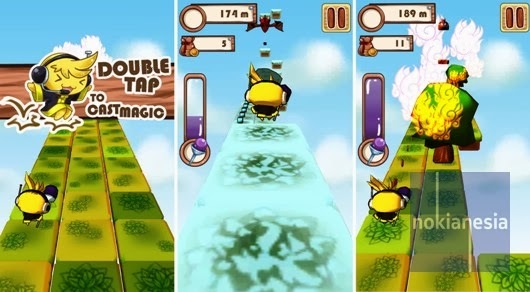 You can avoid some obstacles with swiping Tako to the left, right, down and jumping up.